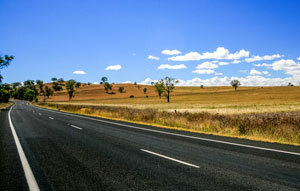 Tenders are being called for contractors to deliver the $80 million New England Highway – Bolivia Hill upgrade. The joint Federal and NSW government-funded upgrade on the Bolivia Hill section of the highway aims to deliver significant road safety improvements between Glen Innes to Tenterfield. The project includes the construction of a 320-metre bridge, and widening lanes and road shoulders in both directions. Deputy Prime Minister and Federal Member for New England Barnaby Joyce welcomed the next stage of the project. “The highway is an important freight and commuter corridor between Sydney and Brisbane, and a critical part of keeping our regional and national economies powering on,” Mr. Joyce said. Work on the upgrade is expected to start in early 2018 and take about two years to complete.